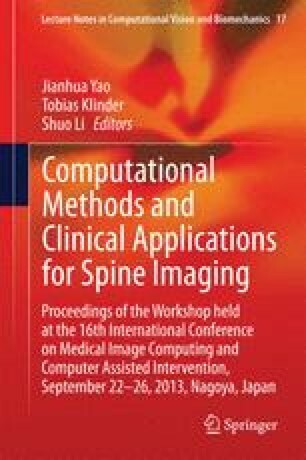 We describe a method to automatically detect and label the vertebrae in human lumbar spine MRI scans. Our contribution is to show that marrying two strong algorithms (the DPM object detector of Felzenszwalb et al. , and inference using dynamic programming on chains) together with appropriate modelling, results in a simple, computationally cheap procedure, that achieves state-of-the-art performance. The training of the algorithm is principled, and heuristics are not required. The method is evaluated quantitatively on a dataset of 371 MRI scans, and it is shown that the method copes with pathologies such as scoliosis, joined vertebrae, deformed vertebrae and disks, and imaging artifacts. We also demonstrate that the same method is applicable (without retraining) to CT scans. Financial support was provided by ERC grant VisRec no. 228180.